Click the button below to add the OFM 24 Hour Rated Big and Tall Office Chair  to your wish list. Special Sale Price on our most popular Big and Tall chair - But for a Limited Time Only! If you spend a lot of time at your desk, you need the comfort and support of the OFM 247 Big and Tall Ergonomic Office Chair. The tank-like chair can accommodate users up to 400 pounds and is ideal for call centers, dispatch centers and IT departments. 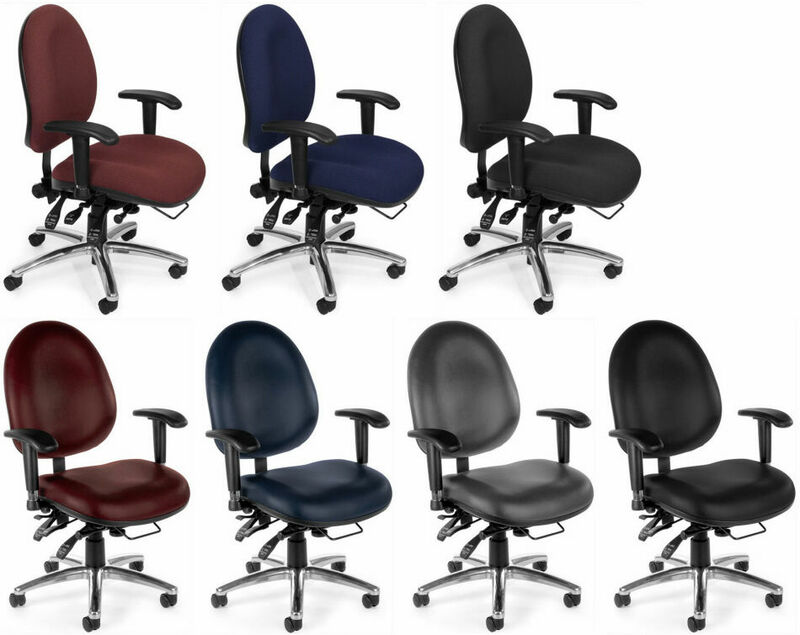 The ergonomic big and tall office chair features a sliding seat depth, adjustable height, and built-in lumbar support. For those that eat at their desks, the chair is available in fabric upholstery or vinyl. The fabric upholstery is stain-resistant and great for spills. Watch our informative video below for details. The fabric upholstery is stain-resistant. Great for spills! We use this model in our 911 center. All of our technicians love it. This chair is heavily used 24 hours per day with people of all shapes and sizes and it is still holding up great after 2 years. Top notch quality.